Sicario is spanish for “hitman.” It’s laid out for you right when the movie starts. And from that point on, it’s a gripping and menacing thrill ride. 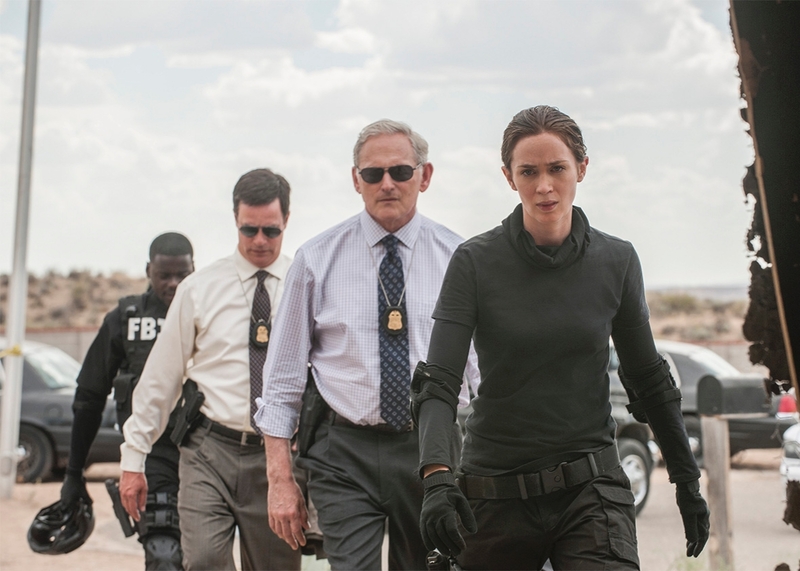 Sicario starts with FBI agent Kate Macer (Emily Blunt, in another action role, SUPERBLY done) leading a raid in Arizona on a house owned by a cartel drug lord. She mistakenly discovers in a firefight inside the house bodies buried within the walls. After that point, she is overcome, and disgusted and more driven than ever to see the person responsible brought to justice. Her control is absolute, but it wavers when she realizes the scope of what’s at stake. 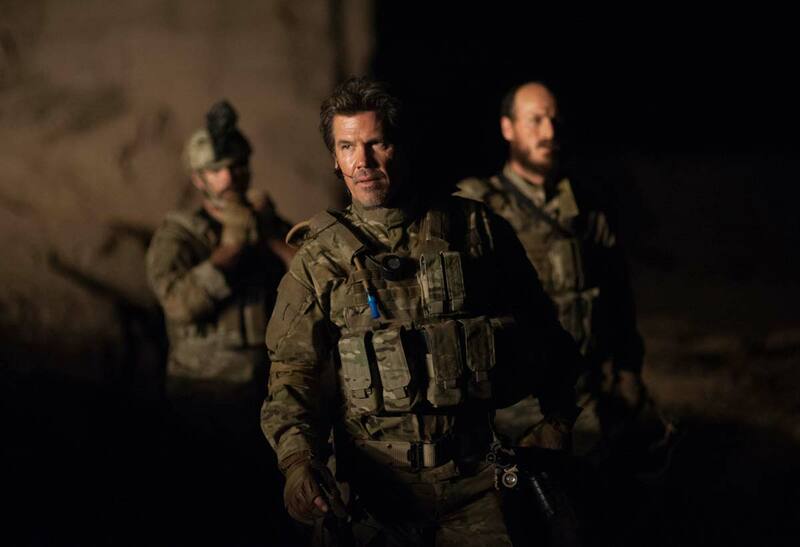 Enter Josh Brolin in a role that was made for him. He plays a DOD “advisor” (CIA spook) Matt Graver, that is wanting to break down the Mexican cartels in Juarez and Nogales and send a message-or that is what you are led to believe and he brings his associate, a mysterious man only named Alejandro. This is where Benicio Del Toro walks in. He owns the movie, much like a Latino Brad Pitt. You cannot take your eyes off of him. He is subtle, and he plays his role with a relish that blows me away. His story, and what he is really there to do unfolds with deadly beauty and an art that just unfurls like a flower. He is a mystery and tells Kate to never really trust anyone, and yet, does that include him? The soundtrack is a huge part of what sets the scene, and Johan Johannsson’s music sets an underlying menacing tone. You know that something is frightfully amiss, yet you aren’t sure what, and you can’t wait to see how it ends. The cinematography is genius- featuring satellite shots and infrared when they use special ops shots as well. I cannot express enough the dangerous beauty of this film. Even Jeffrey Donovan from Burn Notice has a role that is plum amazing and juicy, and he plays it with such calculating menace that I am just still left trying remember all of the subtle nuances of each character. My advice? GO SEE THIS MOVIE. The end will blow your mind. This entry was posted on Saturday, September 26th, 2015 at 9:25 am	and is filed under Film, News. You can follow any responses to this entry through the RSS 2.0 feed. You can skip to the end and leave a response. Pinging is currently not allowed. Chief Orman have pretty big influence around here. Influence? He lives in a SHACK!